One of the key success factors is your personal advantage. It’s what makes you different from anyone else. It might be your looks, your personality, your education. It might be your relationship with others. Maybe your dad is Bill Gates, or your mom is Sally Field. Everyone of us has unique advantages. Things that make us different. Things that give us an unfair advantage. 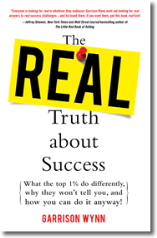 In his book, The Real Truth About Success, Garrison Wynn explodes the myth that success is all about being the smartest, best looking person with an incredible product. In fact, Garrison went around the country and interviewed over 5000 top performers and distilled their secrets to success. What he found was shocking. It wasn’t better brains, positive attitudes, or all around better products that led to success. Instead, he found that successful people are able to leverage their unique and distinctive qualities to bump them to the front of the line. Most successful business people get where they are because they have a secret advantage, and they’re not afraid to use it. Do research and discover your advantage. Long-term success is the result of relationships built on a foundation of trust. People get more value from those they trust. Become a good listener. It does not matter how smart you are if nobody knows what you are talking about. Keep your product or solution simple. Earlier this year, I was privileged to be part of two book launch teams. Each of the authors used their personal strengths to rocket their books to the top 20 on Google’s bestseller list. The interesting thing was, their personal advantages differed greatly. One was a former CEO of a major publishing company and had a previous book on the New York Times bestseller list. The other was a first time author who had started a popular blog for writers, and had launched a free e-book a few weeks earlier to build a large e-mail list. Different advantages, but amazing results. As I plan out my goals for next year, I’ve taken Garrison’s advice and compiled a list of things that make me different. Items that may give me an advantage when launching a product or service. This book is based on over 10 years of research, with feedback from over 5,000 successful people in different walks of life. The answers you’ll find here are not common knowledge. I would suggest that you pick up this book, set aside a few hours and determine what your personal advantages are. Then sit down with a pen and paper and write down some goals for the coming year. Once you set them on a page, you can take repeatable action to make them come true. 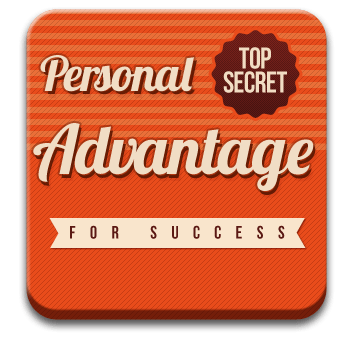 Question: What is your personal advantage?